Friday night found me in Glebe, a part of the city that I haven't really explored before. 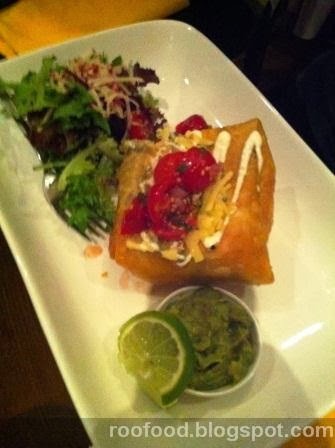 A group of 7 of us were dining at Flying Fajita Sisters, a Mexican restaurant in the heart of Glebe. This suburb is buzzing on a Friday night. After a rocky start, where our online reservation was not found, an no table available on arrival, we were sent away for a bit before returning to us being forgotten about. That's okay we can move on from this and we are eventually given a table upstairs. We were all starving by this stage. The dining room is buzzing (including a large party of 20 or more making it very loud). Quick orders of drinks and appetisers first up before perusing the menu for our mains. The staff are quick and efficient and friendly. 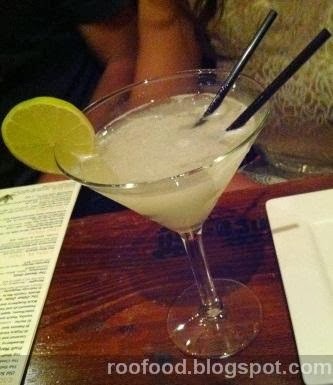 This was strong and tangy, just how a margarita should be! 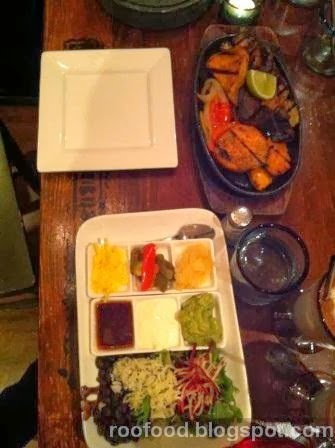 For starters we all shared the Mixed Platter. A platter with 6 different dips and salsas with a big platter of toasty, crispy tortilla chips for dippin'. We have guacamole, salsa, tomatillo salsa, queso fundido, pipian, frijoles. Plenty to go around. 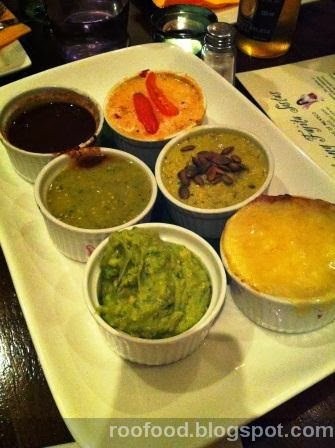 I especially love the guacamole (bottom left), the tomatillo salsa (middle left), the queso fundido (top right) and the pepian (middle right). The pepian sauce is made from roasted pumpkin seeds and has a wonderful nutty flavour. The tomatillo salsa has a good chilli kick and is fresh and green. As for the guacomole...I wish I could have had my own bowl! 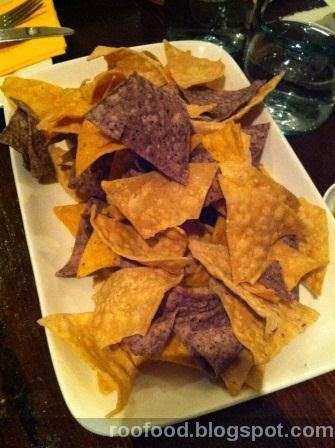 Along with our dip platter we also ordered a large serve of vegetarian nachos laden with gooey cheese and refried beans. 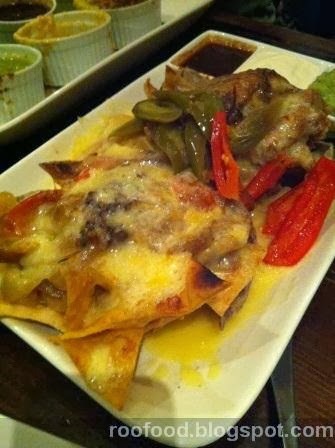 These were great.The grilled jalapenos and capsicum on top of oozey, gooey cheese and warm crispy chips....everything a good nachos should be! 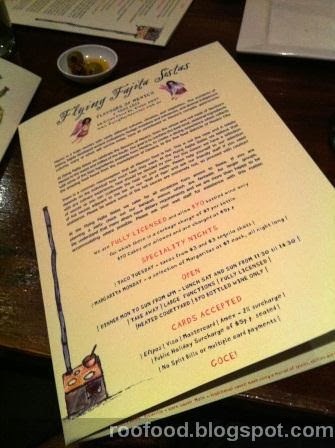 The food and drinks came out fast in the lively restaurant and the staff are super attentive. There wasn't a long wait between courses as our mains arrived. 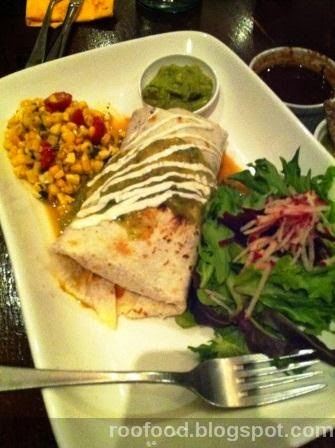 The date had the burrito filled with sweet chipotle chicken and black beans, tomatillo salsa and cheese wrapped in a flour tortilla and served with sour cream, guacamole and corn salsa. So what did I order? 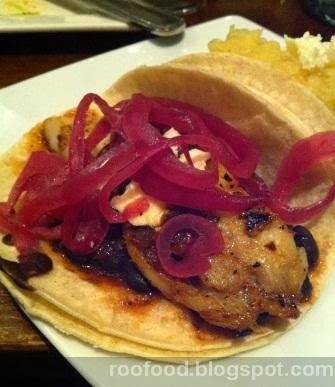 I decided on two tacos (as I was nearly full from appies!) with one Huachinango taco and one Al Pastor taco. The Huachinango taco had grilled snapper with guajillo salsa, black beans, and queso fresco (fresh cheese) on the traditional two soft tortillas. 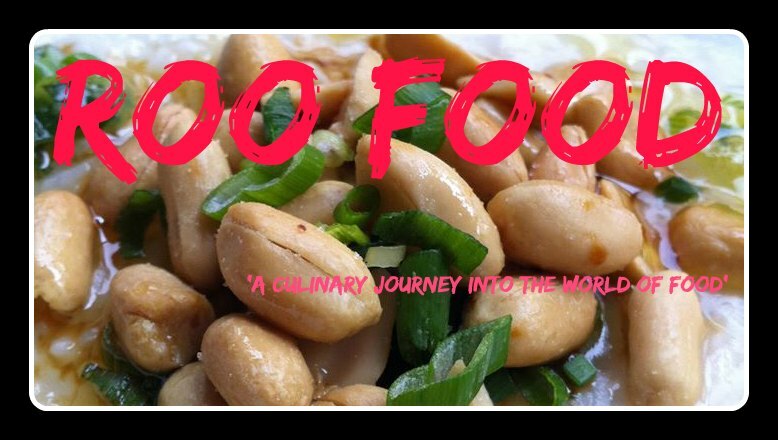 This was mediocre (I'm not one to give negative feed back on the blog usually but this was not great). The snapper was grey and had a very odd taste. 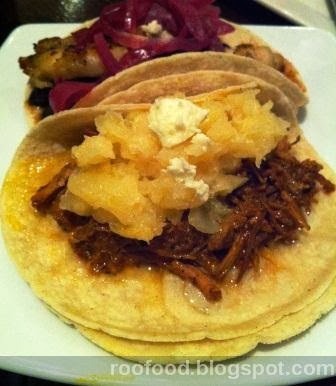 The Al Pastor with pulled pork, a grilled pineapple salsa and queso fresco was a little better. The pork was smokey and spicy and the pineapple salsa was sweet and juicy. Again served on two soft tortillas. However, I wasn't wowed by this. Maybe I was just full and couldn't appreciate the whole taco experience. All in all, the evening was delightful, meeting new people (my date's mates) lively and enjoyable. I loved the Wall of Pain they have down stairs. A shelf full of various hot sauces that you can help yourself to for the extra kick! I would like to come back here and give it another go. We all enjoyed the appetisers more than our mains. Maybe it was a busy or an off night (they did have a large party to cater to). The atmosphere is definitely fun, with a fiesta flare throughout the restaurant.